Begin by printing out the template. If you choose the 5” x 7” print size in the computer program you use to print it should print it at the perfect size for this card. 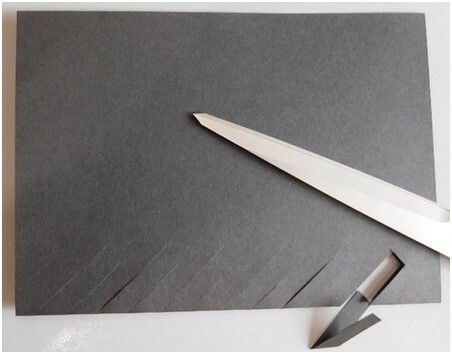 Use your trimmer to cut off the excess paper so that the edge of the template can be lined up with the edge of the card base. 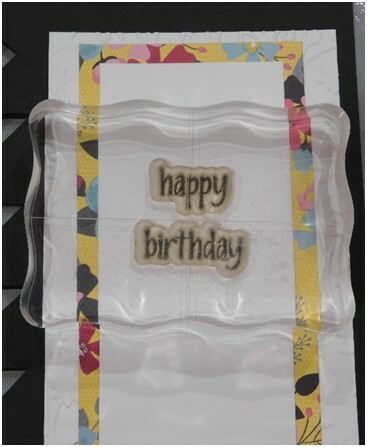 Attach the template using paper clips to a 5” x 7” card base that has been created from cardstock. 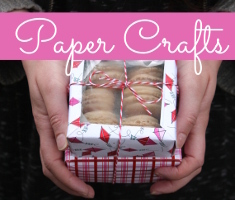 Here’s some fun paper clips you can use for all of your crafting. 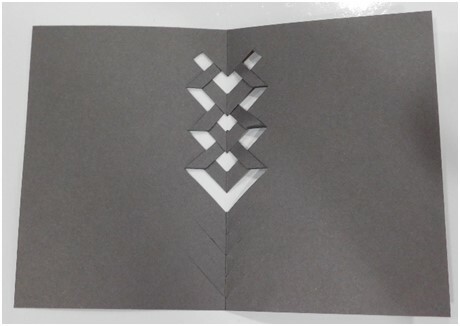 Take a pair of scissors and cut on the angled lines of the template. 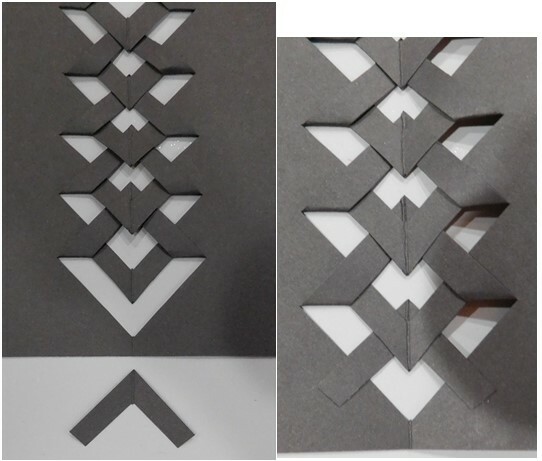 Once you have cut all of the lines, cut between the cuts on only the bottom piece as shown in the picture. Remove the piece, but be sure to keep a hold of it because you will need it for a later step. Open the card up and begin folding the cut pieces up starting at the second one down from the top. Tuck the point under the piece above it to secure it in place. 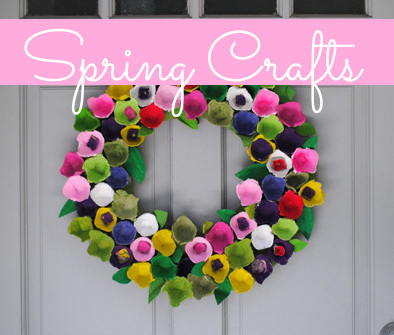 Now, get that piece that you cut out and add a small amount of tape from a tape runner or some glue from a glue pen to the bottom ends of the triangle and attach it up under the bottom point making sure the point of it is poking slightly above the “arrow” pointing downward. The weaving part is now done. That was easy wasn’t it? Now to decorate the front of the card. This card was finished by layering a piece of 3” x 6” cardstock under a 2 ¾” x 5 ¾” of patterned paper (Love & Adore by Simple Stories) and then a third layer of 2 ¼” x 5 ¼” of cardstock for the sentiment was placed on top. 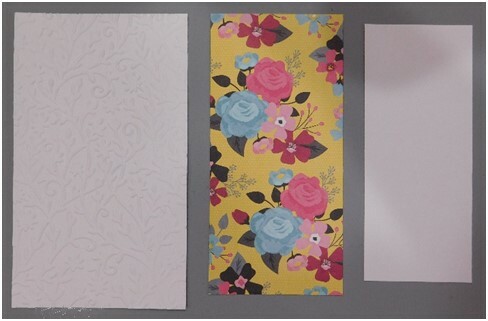 The 3” x 6” piece was embossed using the Flowers Embellishments embossing folder by Sizzix and an embossing/die cut machine. The flower and stems were cut using the Flowers n Stem die set by Spellbinders. Stamp the sentiment onto the front and add the flower to finish it off. 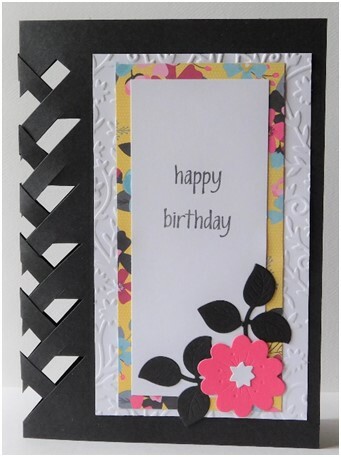 This is a great card design that can used for any theme and occasion. 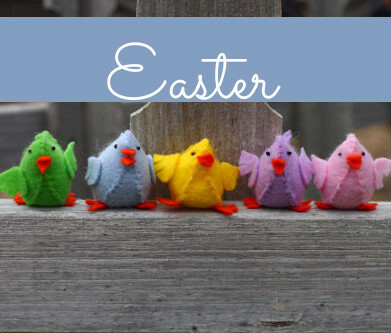 It’s easy to create for those quick, but fancy cards that you may need. It’s open design adds to the idea of handmade cards.